Hannah is a mechanical engineer who is constantly intrigued by interactions between humans and the everyday products and services that surround them. From her experience working in consumer electronics, Hannah has learned just how much every small feature of a product can have a significant impact on its user. With this in mind, she is committed to prioritizing the user experience in every stage of design and development. Hannah is excited about using creativity and technological innovation to create effective, robust, and delightful product experiences. Hannah's experience working on the development of smartphones showed her just how rewarding it is to see a product through the entire design and development process, from sketches on a whiteboard all the way to a phone in the customer's hand. Seeing the impact of the final product on the customer instilled in her a design perspective focused on user experience. 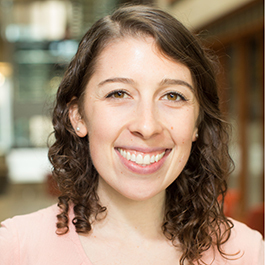 Hannah chose EDI for the opportunity to broaden her product development skill set and put human-centered design in practice. She is eager to build upon her mechanical engineering background by fostering her technical skills while also learning about the research, communication, and strategy of an effective design process.